A vintage Scarab Brooch inspired by a pectoral was found in the tomb of King Tutankhamen. 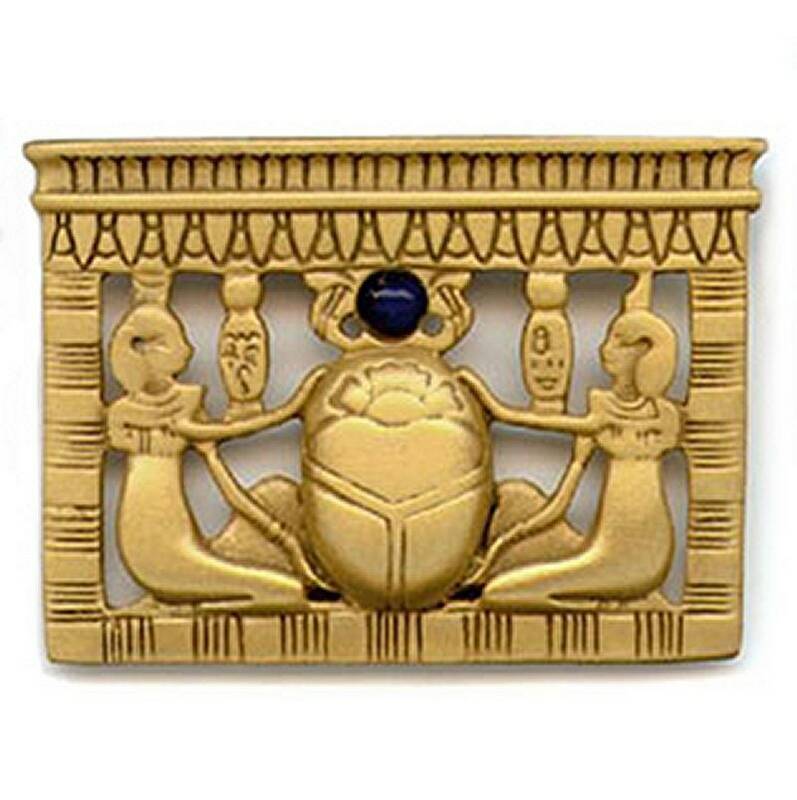 This Egyptian Scarab pectoral brooch is a reproduction of that piece. It is a representation of the sun-god Khepri, the scarab rolls the all powerful sun across the heavens, symbolizing rebirth and eternal life. He is surrounded by two guardian goddesses, Isis and Nephthys. Ancient Egyptian pectorals, jewelry in the form of a scene, were worn around the neck or as a brooch. Materials: Pewter with gold finish, lapis lazuli cabochon. Another piece from our display boxes in storage! Only 1 in stock!